When living in small spaces it is critical to select the right furniture that can make use of the space well while providing the needs of you and your guests. 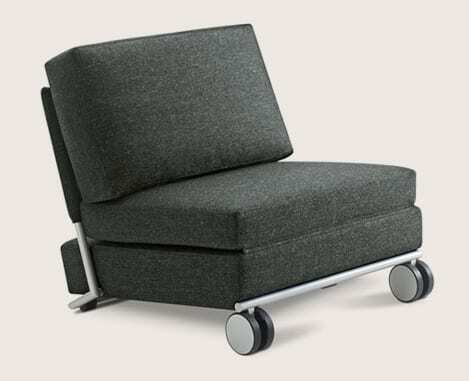 The Trinus sofa bed is a small footprint piece of furniture that begins as a chair and winds up a sofa bed. Many sofa-bed models on the market are bulky and before their transition look like a normal sofa or couch. The transformation from “chair to sleeping area” is rarer and in this, Trinus has delivered. It’s also nice that it can be converted into a chaise lounge, which is a great way to relax with a book or television.